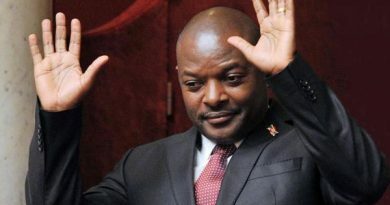 Burundi’s President Pierre Nkurunziza has been sworn in for a controversial third term in office. The BBC’s Prime Ndikumagenge in Burundi says the ceremony came as a surprise, as Mr Nkurunziza had been expected to be sworn in next week. At least 100 people have died in protests since Mr Nkurunziza announced in April he would run for a third term. The government accuses the opposition, which says the third term is illegal, of causing the violence. 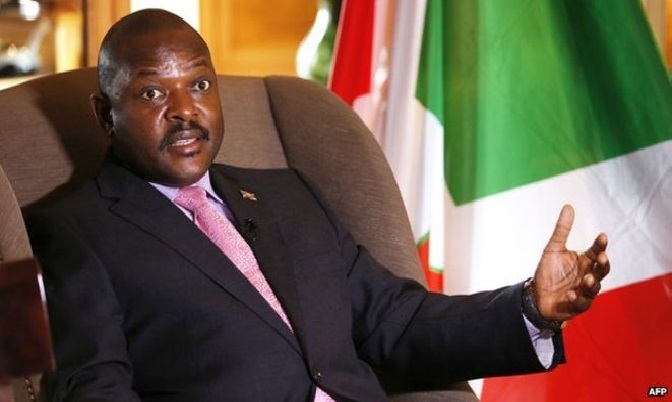 In his inauguration speech, Mr Nkurunziza promised to end the violence within two months. No foreign head of state attended the inauguration. Burundi’s government says a number of countries apologised for not sending their delegates, because of the change of date. The African Union, European Union and the US State Department have all expressed concerns that July’s election was not free and fair. The UN observer mission said the election was not free and credible and was held “in an environment of profound mistrust” between political rivals. The African Union did not send observers – the first time it has taken such a stance against a member state.